Batman Says: It’s Summer! Write!!! My summer break officially started today, and I’m excited to get writing and having fun creating. I snapped this photo in our new drama rehearsal room. 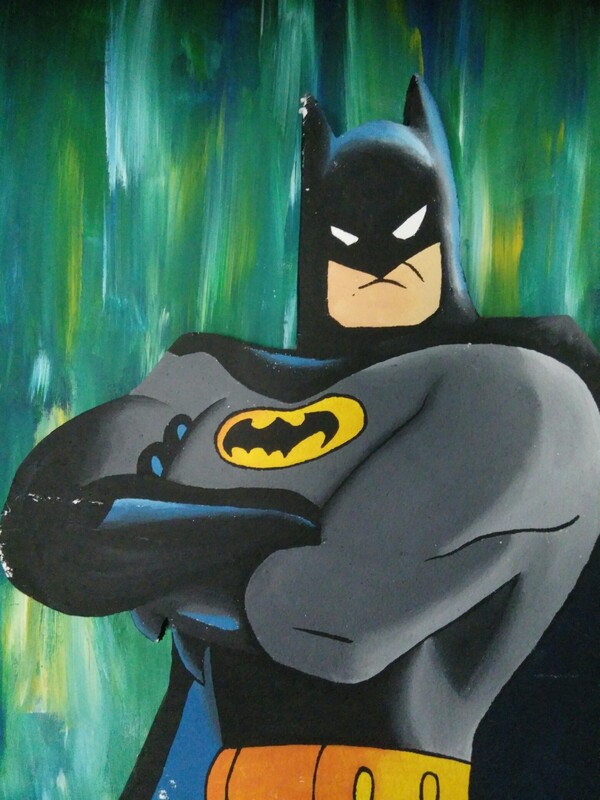 That’s a Styrofoam batman made by one of our students a few years back. And the background is a cool coloring of another of our school’s art students, so I liked the contrast. And for me, he’s telling me to get busy writing! That should keep me occupied for the next six weeks. This entry was posted in Indie Author and tagged batman, summer break, writing by sassevn. Bookmark the permalink. As a mom of school-age children, summer is my slow-down period, but come August I will be Batman again. Happy writing!